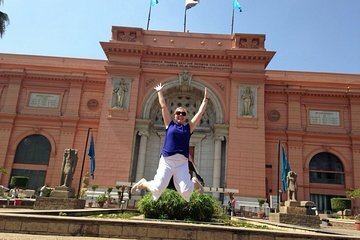 Cover Cairo's top landmarks in a single day tour with a small group. Enjoy the commentary of an Egyptologist guide as you travel to the Egyptian Museum, the Old Coptic Church, the Alabaster Mosque, and the Citadel of Saladin. This tour is great for first-time visitors or those short on time.